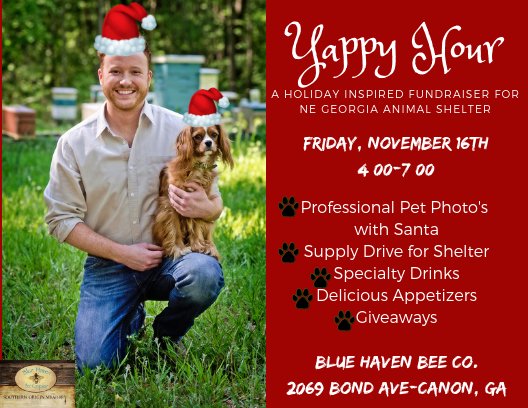 Blue Haven Bee Company will be celebrating Yappy Hour on Friday, Nov. 16 from 4-7 p.m. at Blue Haven with all proceeds going to the Notheast Georgia Animal Shelter. 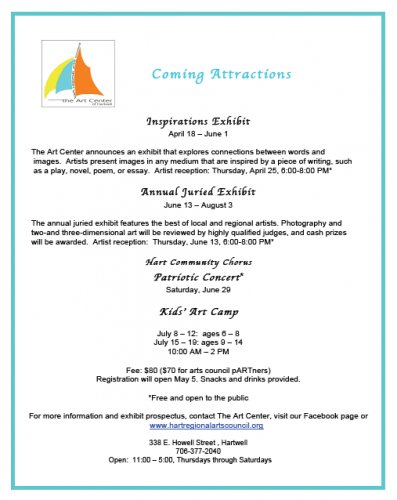 The event will feature a raffle with incredible gift baskets as well as serving a delicious appetizer menu. With the Christmas season just around the corner, the event will also feature professional pet photos with Santa. Along with the Yappy Hour, Blue Haven will also be conducting a supply drive. Donations of blankets, pet food, cat litter and cleaning supplies will be taken and given to the animal shelter as well. Blue Haven is Georgia’s newest farm winery and offers a variety of mead (honey wine), traditional wine, and over 27 different types of beer. Blue Haven will be offering specials and will be donating a percentage of sales back to the animal shelter as well. 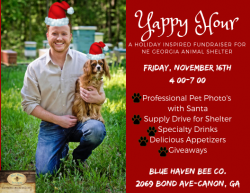 Blue Haven Bee Company is located at 2069 Bond Ave Canon, GA–right off hwy 17.